(Seychelles News Agency) - The Seychelles’ Ministry of Fisheries wants to see better use of bycatch -- fish unintentionally caught by fisherman -- that arrive in Port Victoria after observing increased interest from investors, said a top official. These are some of the aims of newly introduced ‘Management of Bycatch Policy’ that has been approved by the Cabinet of Ministers. 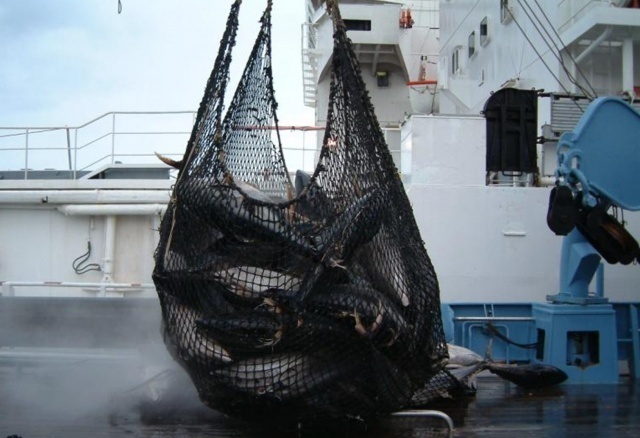 “Since the beginning of industrial fishing in the region, there has always been complaining that purse seiners are landing fish that they are not targeting, which are called bycatch,” said Jude Talma, the principal secretary for fisheries. These bycatch are being dumped at sea, he added. As a consequence, some countries in the region were asking that these bycatch are brought to shore for consumption or to be processed. “In the region, there wasn’t a country that could take these bycatch or there wasn’t enough facility for them to process the bycatch,” explained Talma. For the past five years or so, the ministry has noticed a growing interest coming from individuals and investors to process or sell these bycatch. As a result, the ministry has found it necessary to introduce a policy to manage bycatch. Talma told SNA that during the first phase his ministry will be focusing on bycatch being caught by purse seiners. All purse seiners landing or transshipping their tuna in Port Victoria will have to land their bycatch in Seychelles. This will also apply to longliners and semi-industrial fisheries during the second phase of the implementation. Last year, the Indian Ocean Tuna Commission (IOTC) approved Resolution 17/04 requesting that member countries adopt a ban on discarding non-targeted species, unless they are prohibited species or fish unfit for consumption. The principal secretary said that this resolution will boost cooperation from purse seiners flying Seychelles’ flag. Vessels will have to report all their catch, including the bycatch, to the Seychelles Fisheries Authority (SFA). “There are observers onboard the vessels as well monitoring. However, a vessel still has the right to throw a certain amount of fish back at sea, if they are unfit for consumption, which should also be reported,” said Talma. The short-term goal is to be able to process most of the bycatch being landed in Seychelles, a group of 115 islands in the western Indian Ocean. To avoid wastage, the relevant authorities will allow a certain amount to be transshipped to other countries. “A levy to be determined by the Port Authority will be placed on this. In so doing we will be reducing wastage and the dumping of bycatch,” said Talma. He added that boat owners will have to store these bycatch at the appropriate temperature before landing them. These fishes will be used for consumption as is or as value-added products, turned into animal feed or used as bait by artisanal fishermen. Although the ministry will provide interested investors with a license, the number issued will be limited. The newly approved policy will also ensure the protection of vulnerable and threatened species as well as guarantee sustainability of stocks of bycatch species. It will also help minimise the adverse impacts of fishing on the marine environment.